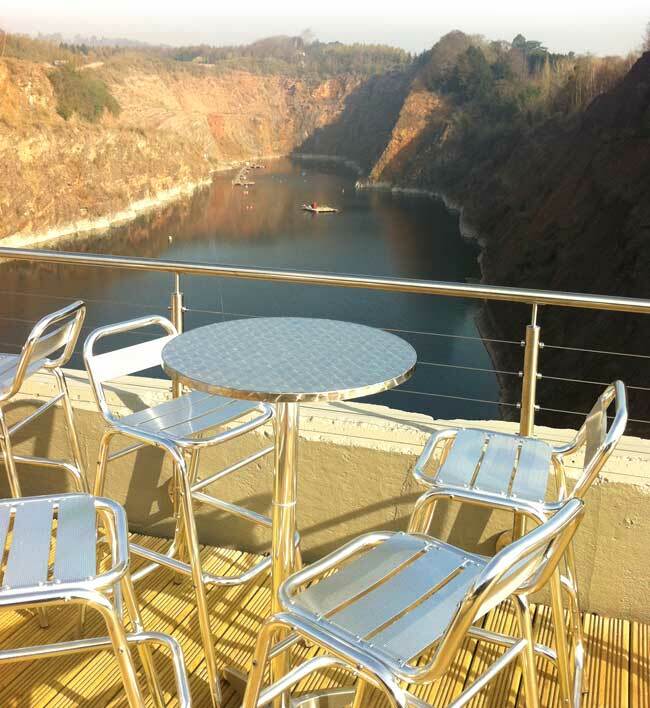 Welcome to The View, ourstunning Café Bar complex at the National Diving & Activity Centre in Chepstow. The Cafe is open from 7am until 9pm, with the licensed bar open from 11am to 11pm (full opening times>). We have an extensive menu with breakfast and lunch options in our Daytime Menu as well as our delicious Evening Menus. We also have Free WiFi at the View Cafe Bar. As a little thank-you for your support, We are offering all residents staying in our Wooden Wigwam Accommodation a 10% discount on all food for the duration of your stay. So after a long day of activity at the NDAC you will be able to relax into the evening with a cold beer and a delicious meal. We are working hard and continuing to invest in the site to provide you all with a superb facility and what we feel is the best inland dive site in the UK. Thanks to all our visitors for your continued support and we look forward to seeing you in The View Cafe Bar very soon. Contact us if you would like to organise a private booking at the View Cafe Bar, or any of our activities.